The most recent edition of the Crime Stoppers television program “Hawaiʻi Island’s Most Wanted” highlights a man and two women wanted on warrants. The new episode begins airing Friday (February 5). In it, police ask for help in locating 38-year-old Ronald Barawis Jr. of Kailua-Kona, who is wanted for violating parole and failure to appear. He is also wanted for questioning in another investigation. 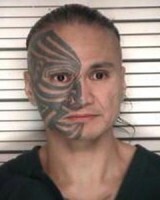 He is described as 5-foot-9, 140 pounds with brown eyes, dark brown hair and a large tattoo on the right side of his face. Police caution the public not to approach him as he is considered armed and dangerous. The television program also asks for help in locating 45-year-old Melody K. Familar of Hilo, who is wanted on a 50-thousand-dollar warrant for violating probation. She is also wanted for questioning in another investigation. She is described as 5-foot-8, 130 pounds with brown eyes and brown hair. 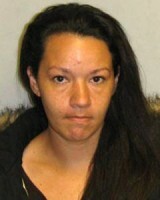 In this latest edition of “Hawaiʻi Island’s Most Wanted,” Officer Bryan Tina also asks for help in locating 33-year-old Chanel Mariani of Hilo, who is wanted for violating probation and for violating release on bail. She also wanted for questioning in an unrelated case. She is described as 5-foot-6, 142 pounds with brown eyes and brown hair. 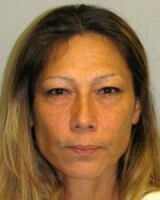 She may be in Puna. Police ask anyone with information about any of these individuals to call the Police Department’s non-emergency line at 935-3311 or Crime Stoppers at 961-8300. All Crime Stoppers information is kept confidential. Crime Stoppers does not tape record phone calls or subscribe to caller ID.